Good news everybody! Okay, not exactly good, but it is news, and on a rather important subject. Recently, the National Oceanic and Atmospheric Administration (NOAA) announced that the Manua Loa observatory in Hawaii had recorded atmospheric levels of carbon dioxide which exceeded 400 parts per million. This represented a major milestone, one which climatological researchers and scientists have feared for some time. However, they have since amended that statement, saying that the readings were a fraction of a point lower at 399.89 ppm. Not exactly a reason to celebrate, and not that surprising either, since individual readings at any of NOAA’s observation stations are subject to revision on a regular basis. And regardless of whether or not the 400 ppm milestone has been passed, scientists are still adamant that this reading is cause for concern. 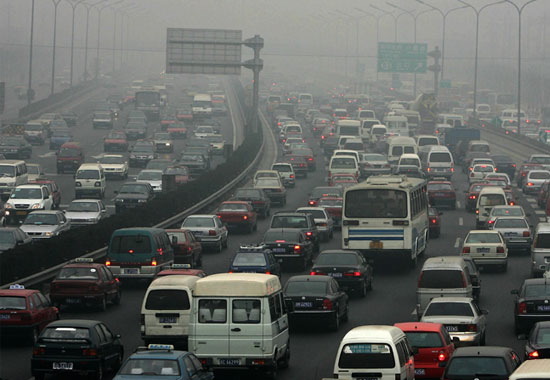 As has been stated repeatedly, when it comes to the buildup of human created greenhouse gases, it is the rate of increase which is most important. 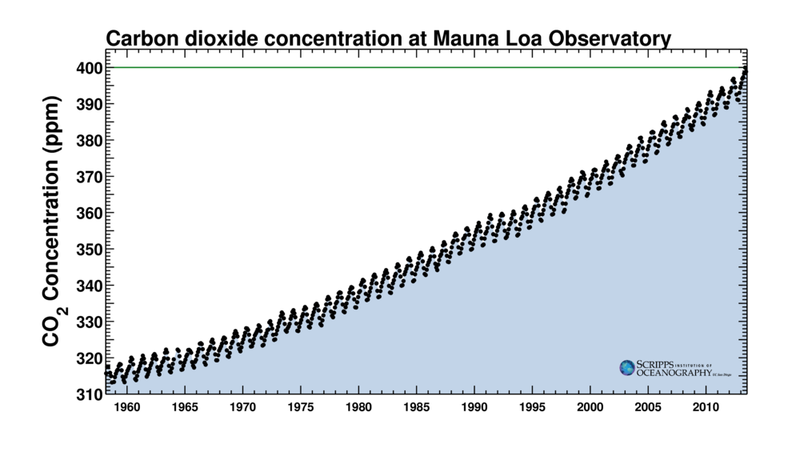 That rate, which is measured by the Keeling Curve, shows that atmospheric CO2 levels are rising at unprecedented rates, driven largely by the burning of fossil fuels over the past two centuries. Originally pioneered by scientist Charles D. Keeling in 1958 , this curve is the longest-running tally of carbon dioxide levels in the atmosphere and is maintained by the Scripps Institution of Oceanography in San Diego. The saw-tooth pattern of the incline reflects small seasonal variations within the long-term upward trend, which peak annually around the month of May. Combining this studies conducted on glacial melting patterns, pollination patterns, geological and oceanographic surveys, a long-term picture emerges. For the past 800,000 years, CO2 levels have never exceeded 300 ppm, and there is no known geologic period in which rates increased as sharply as they are now. That level was at about 280 ppm at the advent of the Industrial Revolution in the 18th century, the period when the burning of fossil fuels began to soar. 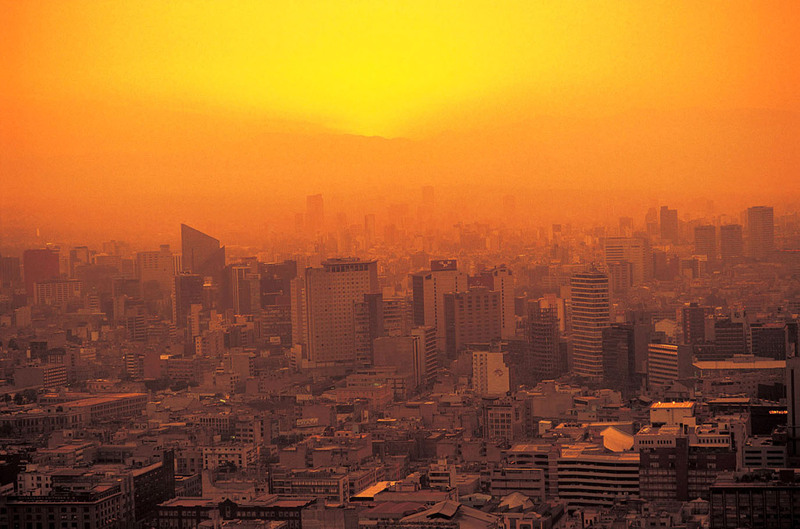 The 400-ppm threshold is a sobering milestone and should serve as a wake-up call for all of us to support clean-energy technology and reduce emissions of greenhouse gases before it’s too late for our children and grandchildren. What’s especially frightening about a rating of 400 ppm is the fact that planet Earth has not experienced that kind of CO2 concentration for over 3 million years, during the Pliocene Era. 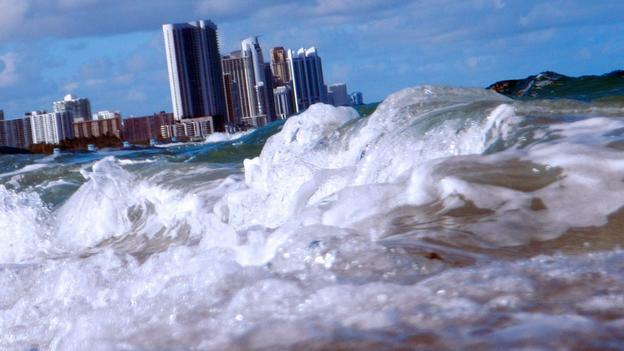 At that time, sea levels were between 60 and 80 feet higher than their current levels. If sea levels rise by this much in the coming decades, roughly 1 billion of the Earths inhabitants will be left homeless. Add to this the widespread droughts, wildfires and flooding taking place in inland communities, where unpredictable weather will cause rivers to overflow erode river banks and turn millions more into refugees. And as crops fail due to increased heat and depleted topsoil, the ability to feed the world’s population will also begin to plummet. Of course, these are the most dire predictions and are often used to remind us just how important it is to clean up our act before its too late. Researching and developing cleaner methods is one approach, as is finding ways to capture the carbon emissions we are generating on a daily basis. But in the end, the greatest weapon in our arsenal is and always will be public awareness. Consider yourselves informed. Now go spread the word! In the meantime, enjoy this animated “Carbon Tracker” graph that shows us the time history of atmospheric carbon dioxide – courtesy of the National Oceanic & Atmospheric Administration. Oy, we humans have work to do. Sigh! Who’s working on the Reps? They still think all this environmental awareness is communist propaganda. Actually, conservative politicians have been in full retreat for some time now. Only those crazy enough to live in the fringe world still cling to the notion that this is “junk science”. Other, more respectable candidates, just avoid the issue. So, how is running away to hide their heads in the sand any better? Should they yell, ” the sky is falling!” To complete the picture? If they aren’t talking, they’re not convincing the huddled masses that it’s all a conspiracy and they don’t need to change their ways. I know many of said people, and their denial is dissipating now that they don’t have a trusted figure to back up their theories. Sigh! I’ll spend my lifetime trying to understand these people.